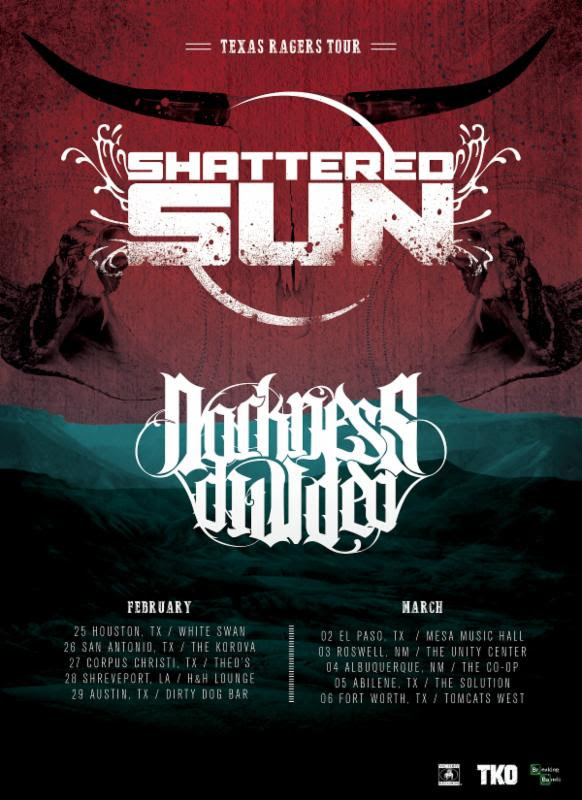 Modern metal trailblazers SHATTERED SUN are kicking off 2016 with a tour of their home-state and surrounding cities, joined by Victory Records labelmates Darkness Divided. Dubbed the “Texas Ragers” tour, the run will begin in Houston, TX on February 25th and will hit seven Texas cities, two New Mexico cities, and Shreveport, LA, coming to a close on March 5th. See below for a full listing of tour dates.